When the media at large fails to properly represent or present a story to the people, it’s time to unpack the printing press and start making some zines. This DIY style of self-publication isn’t just a fun way of reaching others – it’s punk, it’s anti-establishment, it’s tangible. And New Orleans, with book fairs, fests, and even libraries, is home to several alternative pressings. Take Em Down NOLA, the group that helped and continued to help organize the efforts to bring down symbols of white supremacy all over the city (and beyond), announced a new zine called Roots Rising, which will be released in multiple volumes, for sale on their site and at official events. Featuring articles, poetry, and designs from the activists who participated and keep participating, Roots Rising is billed as the only true account of what happened when the statues came down (putting it in direct narrative conflict with In the Shadow of Statues by Former Mayor Mitch Landrieu). Bill Arceneaux: How has the feedback been thus far for the zine? A Scribe Called Quess: It’s been excellent so far. People have been really responsive and appreciative to us of our work and also for us telling our own story. BA: What are you looking for the first issue to convey to people? How often do you plan on publishing the zine? Quess: This is the first of four volumes. We plan to issue one or two more this year and the remainder next year. 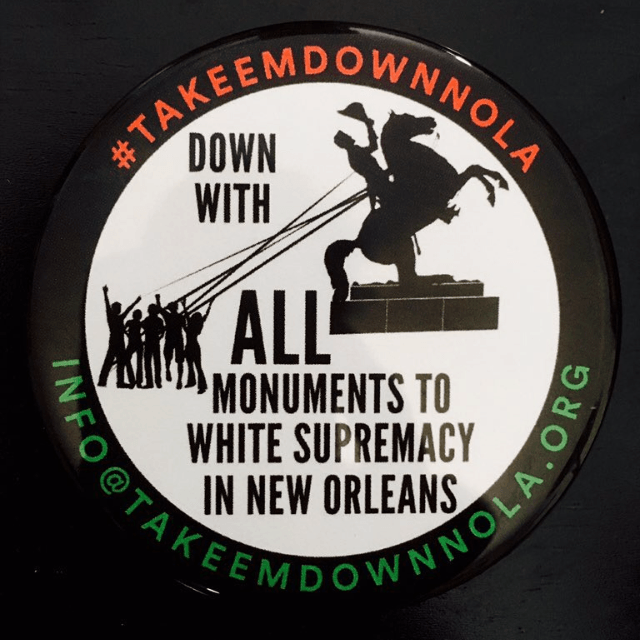 Collectively, the four volumes will tell the story of the 12 main actions that ultimately pushed the city to remove four white supremacist monuments from the public landscape of New Orleans. Further, the zine will connect the issues of white supremacist symbols to the systemic injustices that they represent, both past and present (and future if we don’t fix them NOW). We will create inroads for the people of New Orleans to join the conversation around removing the remaining symbols to white supremacy in the city and injecting this knowledge into school curriculum. We ultimately hope to build the ever-growing groundswell of people passionate about affecting changes to present day policy that still reflects white supremacist ideology. 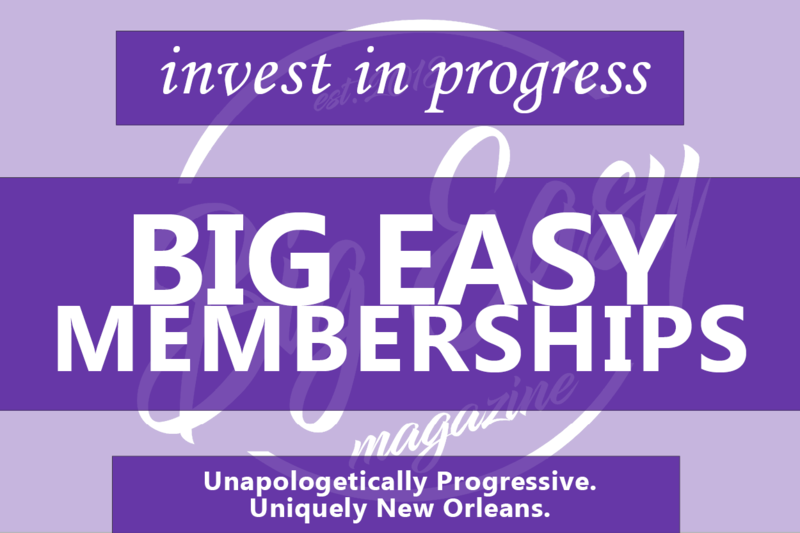 BA: Will the zine be featuring local artists and writers from outside of Take Em Down NOLA? Quess: Yes. A few of our contributing artists are already from out of the state or currently live outside of Louisiana. 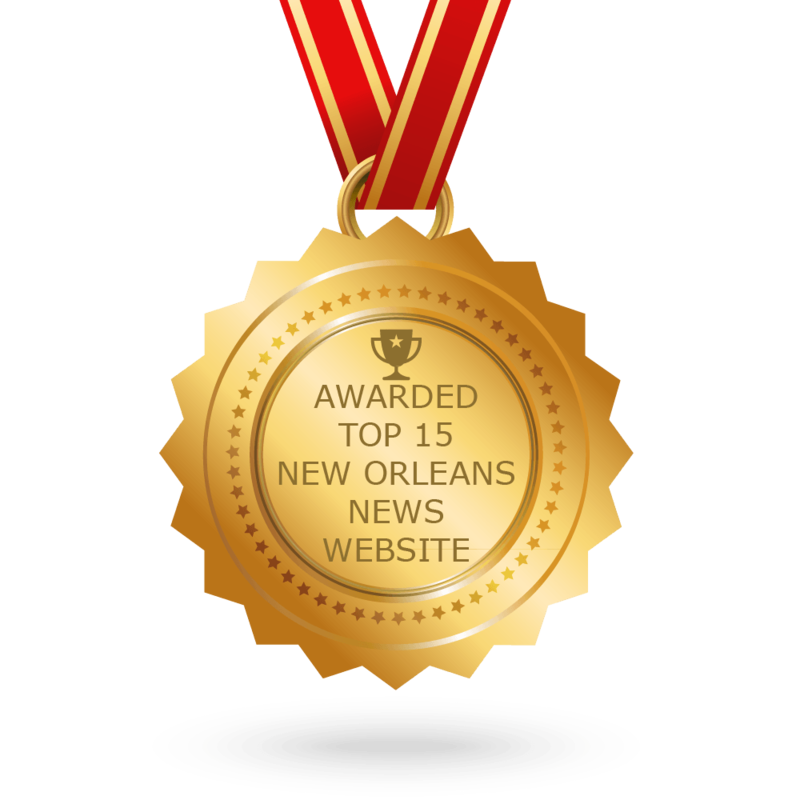 Most of the writers are local though and are activists in the Take Em Down NOLA work. The only real outsider contribution from writers comes from a column called, “Take Em Down Everywhere” that highlights the global Take Em Down movement. The first issue highlights the movement in Mississippi. In future issues, we plan to cover the movements led by our comrades in Florida, North Carolina, and Trinidad & Tobago. BA: What else will be involved in the Build Em Up Initiative? Quess: We will be linking with educators and artists from around the city (and possibly beyond) to continue to push the narrative of the work that’s already been done as well as advancing the agendas of the work still left to be done. There are still 13 white supremacist monuments standing in New Orleans as well as countless streets, schools and public institutions. Not to mention the hundreds of symbols and monuments still around the country (over 1300) and the world. Through bi-monthly forums (to complement Take Em Down NOLA’s bi-monthly direct actions) the Build Em Up NOLA initiative will continue to spread awareness about these toxic symbols as an access point, a teachable moment, for the citizens of New Orleans to understand that symbols reflect systems. And that as long as symbols to white supremacy stand, we the people shouldn’t be surprised when the systems born out of that ideology continue to oppress us through police violence, economic deprivation, gentrification and displacement, and a city budget that allows over 60% to prison, police and reactive measures and only 3% to children and families and 1% to job development. The Build Em Up NOLA initiative will continue to work to spread awareness about these facets of symbolic and systemic oppression that must be taken down. But it will also work to lift up the stories of resistance that have been long overlooked and suppressed. Stories like the 1811 Enslaved People’s Revolt, the 1954 McDonough Day Boycott, the Desire Housing shootout with the police in 1970, and countless other little known or completely untold stories of resistance that the oppressive ruling class doesn’t want the people to know about. BA: If there was one public official you’d want to read the first issue most, who would it be and why? Quess: Not one. Public officials are the puppets of big companies and old money rooted in slavery. Which is to say they’re controlled by the very ruling class that elected to put these racist monuments in our face in the first place. Take Em Down NOLA’s work is about the people, not public officials. If enough of the people become aware–or as we say in our activist work, “educated, agitated, and organized,”–the public officials will have to sway to our whims. They’ll have to do what the people say. And the people will say Take Em Down AND Build Em Up. Addresses subject difficult to publish. Done with a view of sensitivity. Im not sure punk is the best adjective, but solid article.